Bio C-Elaste along with other key ingredients is designed specifically for breast and body to improve elasticity while helping support collagen and elastin. Our targeted formula helps enhance the appearance of the bust area by reducing the appearance of stretch marks. Bust area appears more tightened, firmed and tone. 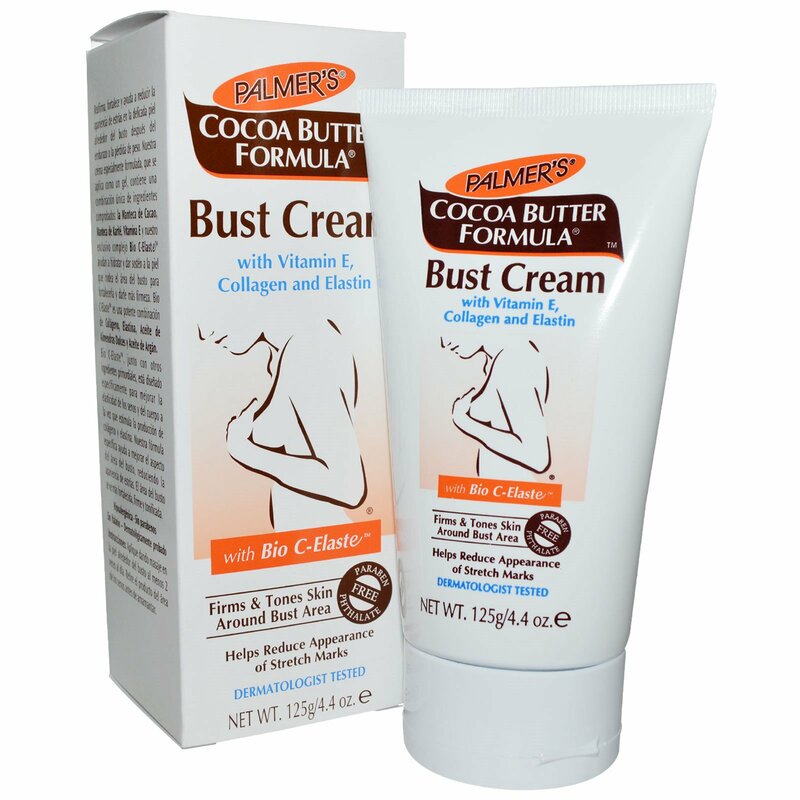 Firm, tone and help reduce the appearance of stretch marks on the delicate skin around your bust after pregnancy and weight loss. 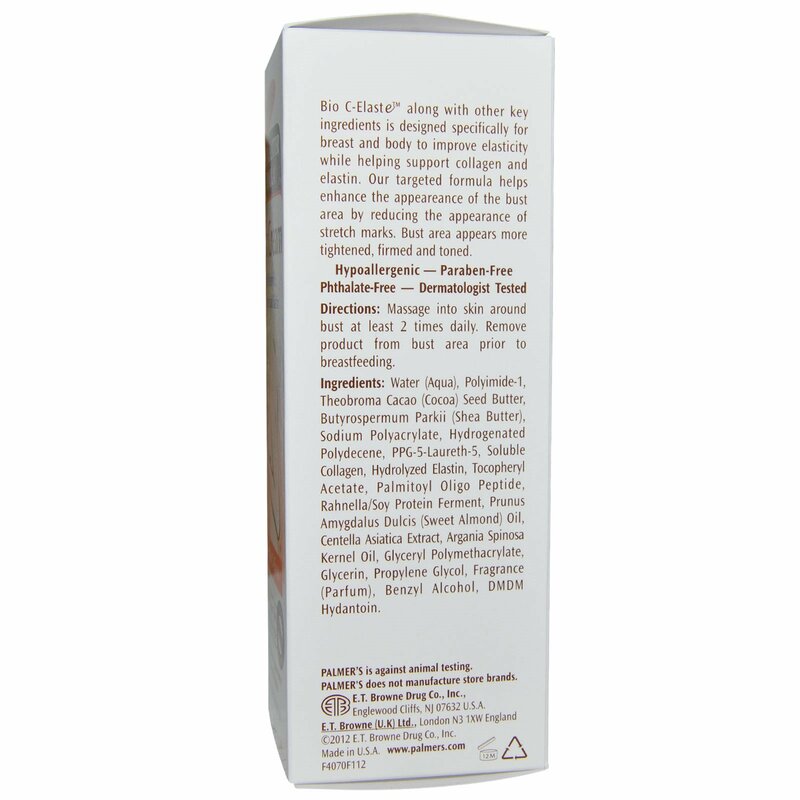 Our specially formulated cream that smoothes on like a gel contains a unique blend of trusted ingredients. Cocoa Butter, Shea Butter, Vitamin E and our exclusive Bio C-Elaste help moisture and support skin around the bust area for increased tone and firmness. Bio C-Elaste is a powerful combination of Collagen, Elastin, Centella Asiatic, Sweet Almond Oil and Argan Oil. Massage into skin around bust at least 2 times daily. Remove product from bust area prior to breastfeeding. Water (aqua), polyimide-1, theobroma cacao (cocoa) seed butter, butyropermum parkii (shea butter), sodium polyacrylate, hydrogenated polydecene, PPG-5-Laureth-5, soluble collagen, hydrolyzed elastin, tocopheryl acetate, palmitoyl oligo peptide, rahnella/soy protein ferment, prunus amygdalus dulcis (sweet almond) oil, centella asiatica extract, argania spinosa kernel oil, glyceryl polymethacrylate, glycerin, propylene glycol, fragrance (parfum), benzyl alcohol, dmdm hydantoin.